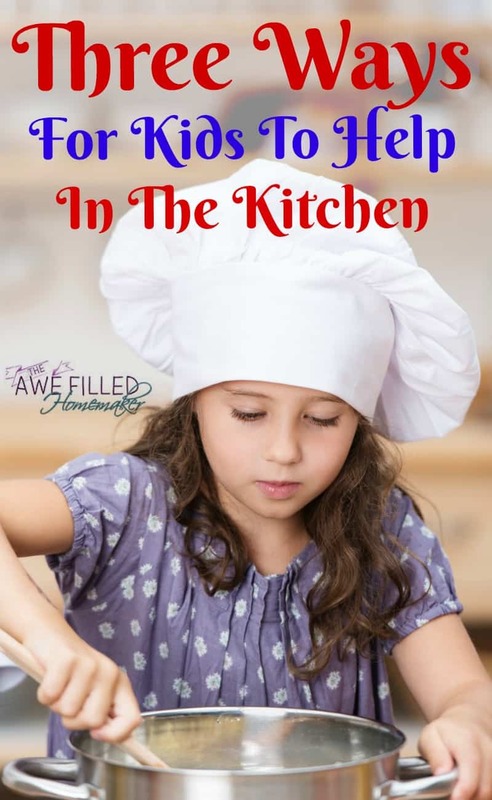 Allowing little ones help in the kitchen can be stressful. 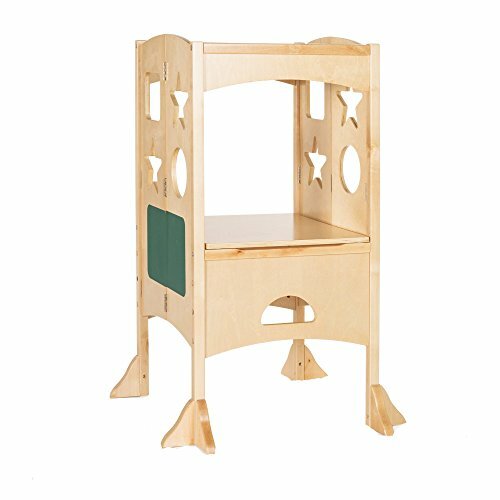 Little ones spill things, make messes, and are all over the kitchen, ready to stick their little fingers in everything. Think back to your childhood. Did your Mom (or Dad or Grandma or Aunt) have you in the kitchen, whipping potatoes, stirring soup or helping them cook? If so, I’m betting those are some of your best memories. Give those memories to your kids. Give them memories to share with their kids and grandkids. Get out of the fast food trap and get them in the kitchen, helping you cook and learn life skills they’ll always cherish. Keep it age appropriate. If you have a 3-year-old and a 12-year-old, obviously they’ll be able to work on different tasks. Three year olds might make a mess with measuring, but it’s something they can learn to do fairly proficiently. They can also help sort the ingredients once the older kids get them out of the refrigerator, pantry or cupboard. Put the butter over here. Put the carrots over there so Mommy can chop them. Keep it light-hearted. I know it’s tough to keep things light-hearted when you’re in a kitchen, especially if it’s one without a lot of space; however, I can not stress enough the importance. The old saying “there’s no use in crying over spilled milk” is true, and one to keep in mind (print it out and put it on the fridge!). You’re actually reminding yourself this old adage. If milk gets spilled, teach them how to clean it up (or hand them a rag), and move on to the next part of cooking. Prep before they get in the kitchen. If cooking with kids isn’t something you think you’re going to enjoy, do some of the prep work before they get in the kitchen. Chop the carrots, soften the butter, cook the chicken. They can help you shred the chicken with one of the plastic claw tools instead of cutting it with a knife. They can take the chopped carrots and put them in a bowl. It doesn’t seem like a big deal, but to them it will be and they will be thankful they got to help! 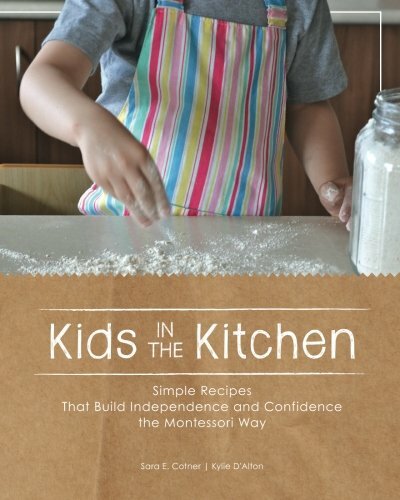 Recommended “Kid in the Kitchen” resources! 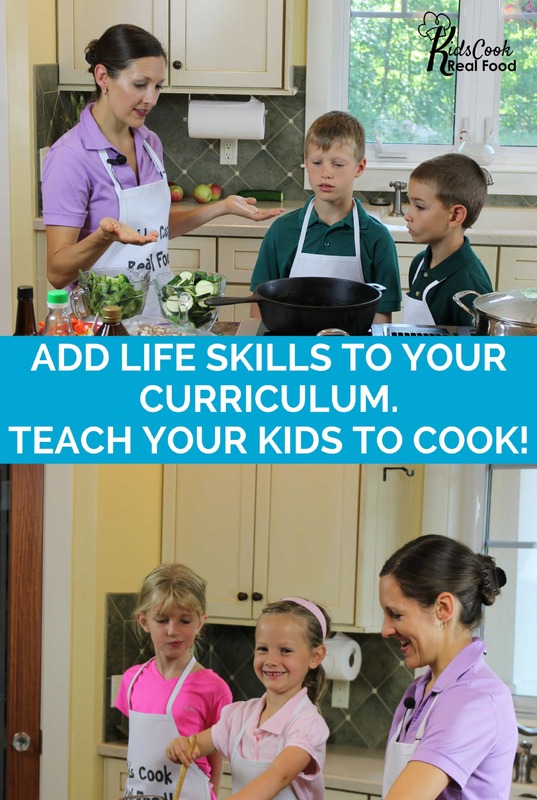 Do you feel too busy or stressed out to invite your kids to help in the kitchen? Katie knows the feeling because that’s why she created Kids Cook Real Food. We teach our kids how to make their beds and how to share their toys with their friends. We teach them about loving God and respecting our country. Why wouldn’t we teach them basic cooking skills? Sometimes it’s easier to cook dinner yourself and tell everyone to get out-of-the-way, but that doesn’t help your little ones learn anything, does it? You’re then left juggling it all and probably exhausted at the end of the day because of it. I know. I’ve been there so I’m betting some other moms are there, too! No parent wants to send their kids off on their own equipped with the culinary skills of microwaving ramen noodles or ordering fast food. Starting kids in the kitchen when they’re young will ensure they have the skills needed when it’s time for them to venture off on their own. I know it seems like a long ways away, but as we all know, time flies when raising little ones! Teach your kids to cook without stress. 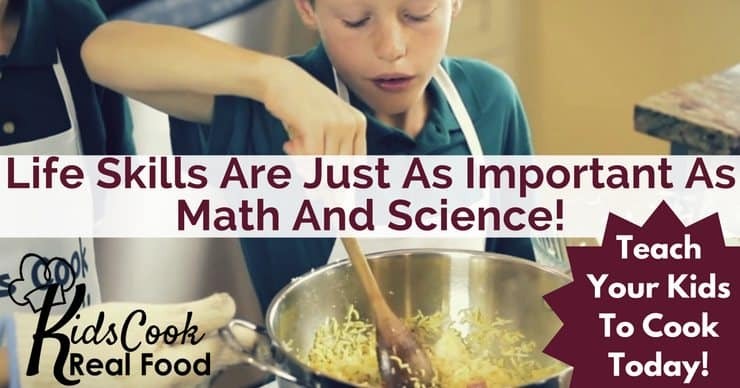 The Kids Can Cook Real Food eCourse features over 30 videos. 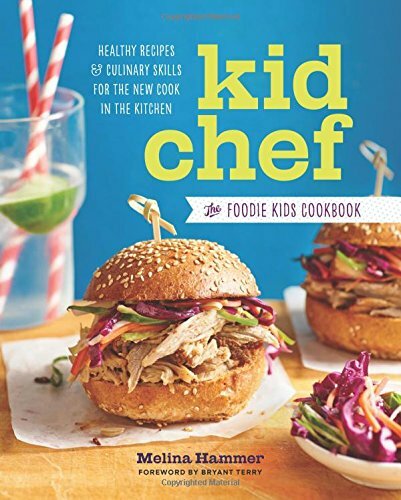 You don’t even have to be a great cook to teach your kids! Don’t get intimidated if you’re not a chef yourself. Besides, it has never stopped my husband. Did I ever share the story about him baking a shepherd’s pie? That’s a story for another time, but let’s just say it was an all day cook-a-thon. Where was I? Oh yes, the eCourse. 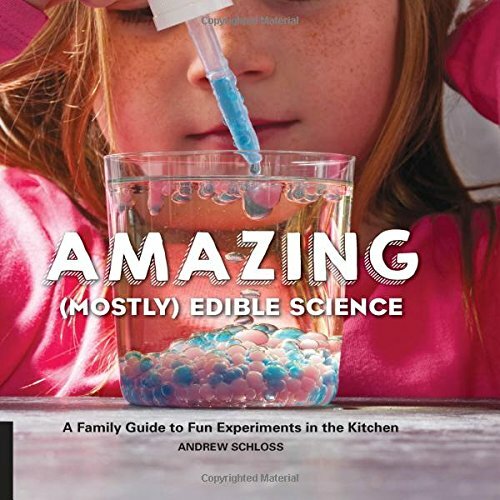 A PDF guide accompanies each lesson, supplemented with printable recipes in an easy-to-read format for kids of all ages.